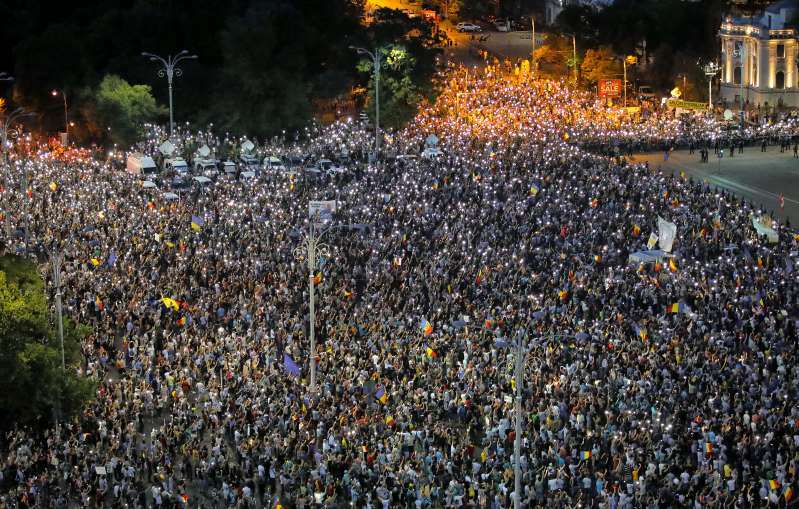 Tens of thousands of Romanians held another anti-government protest Saturday a day after a previous demonstration turned violent, leaving 455 people in need of medical treatment. [post_ads]Critics say Romania has lost ground in fighting corruption since the ruling Social Democratic Party assumed power in 2016. They are urging the government to resign and call a new election.